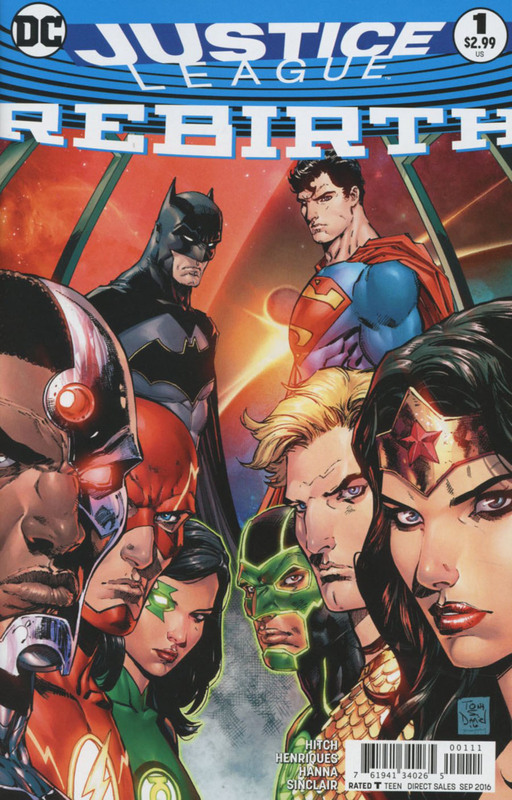 A new threat endangers Earth and the Justice League seek to stop it. Identified as a "Reaper" through Aquaman, the Reaper proceeds to harvest the people of Earth, saying it is the planet's time. The Justice League struggles against the Reaper, until Superman arrives and provides direction and assistance. The Reaper is repulsed and the world reminded that in times of jeopardy, the Justice League will rise to the challenge and the defense of the world. Wonder Woman is in the midst of decimating an army, when an earthquake destroys the aforesaid and more. 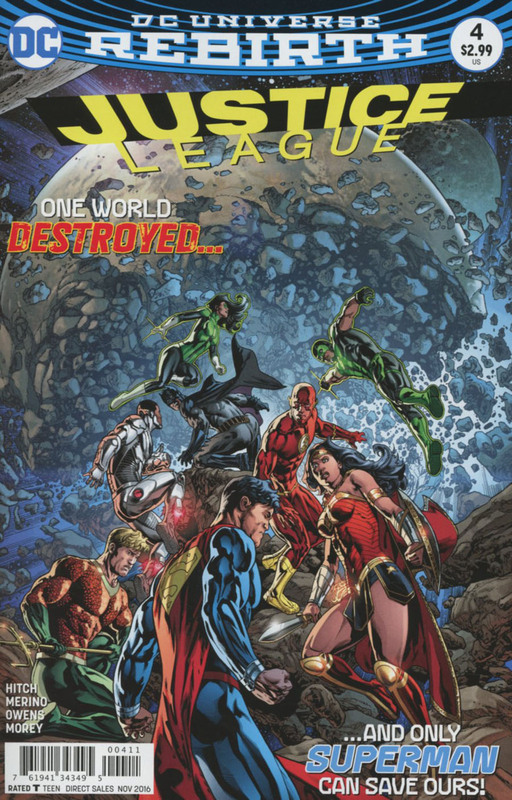 Several more earthquakes are noted around the planet, and the Justice League task themselves with saving the population of Earth, which stands in extreme peril from the crisis. While this is occurring, the League is beset individually with attacks from a new nemesis called the Kindred. The Justice League is about saving as many people as possible, while the world is beset with rolling catastrophes, however, the find themselves attacked by the very people they save, as the Kindred possesses them. The League reforms and learns the cause of the tremors is coming from the Earth's core. Simultaneously, the world is attacked anew by the Reapers. The League goes to deal with all that plagues the world, while the Batman goes to enlist Superman's aid on an "impossible" mission to the centre of the Earth. People are coalescing into giant beings of speed, magic, color, and star power. Wonder Woman attacks the being of star power, and is taken within, told that she has a purpose unknown to her. 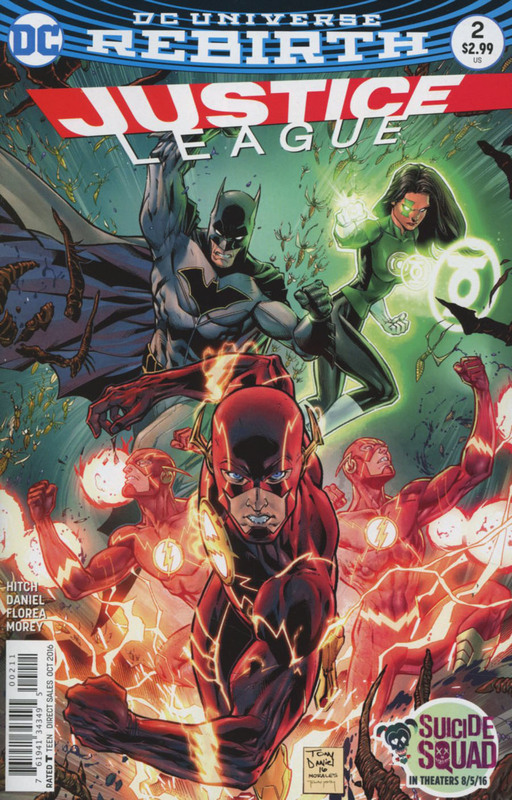 Flash and the Green Lanterns deal with an alien pestilence, while the Batman has sought out Superman for a mission to the Earth's core. The giants come together, uniting for an as yet unknown reason, while Superman tries to sort out his next move at the centre of the Earth. 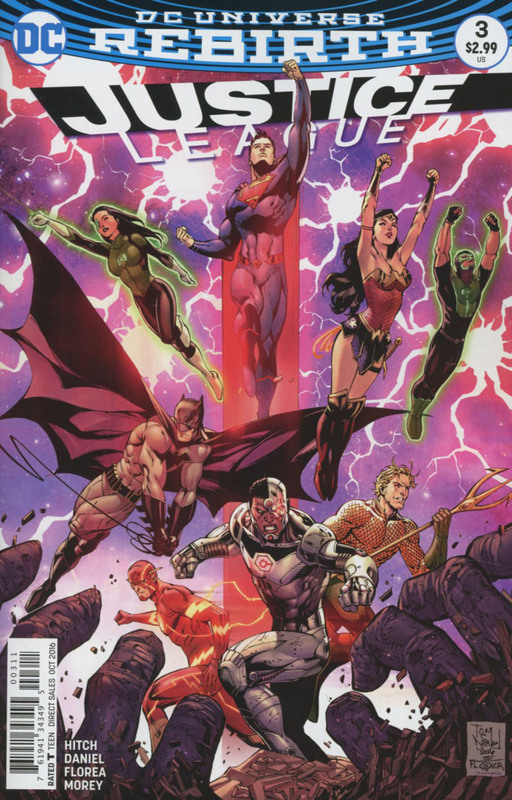 The Justice League continues to battle against the latest threat to Earth, with next to no success. Every turn has the Green Lanterns, Flash, Aquaman, and company losing ground at a steady pace. Cyborg learns what's in store for the Earth, and can only surmise it as being out of options. Much rests on the shoulders of Superman, but while Lois Lane believes in him, the Man of Tomorrow isn't quite as confident. Aquaman races underwater to plant magic crystals around the world, in an effort to save it. 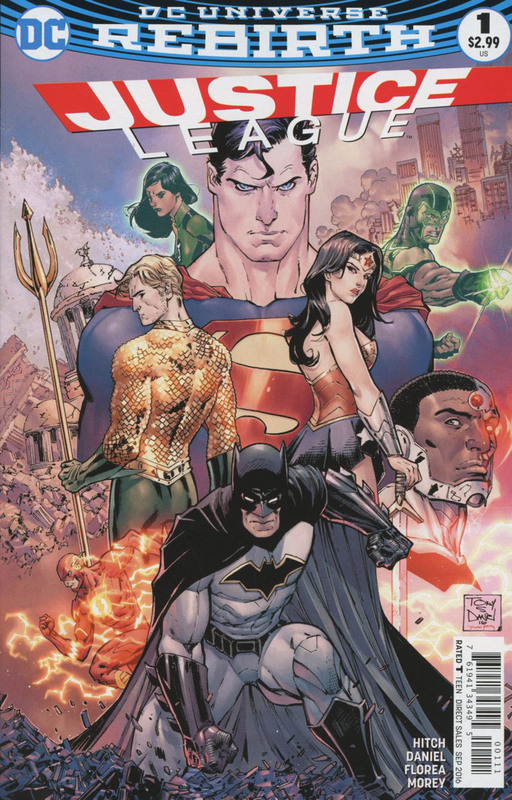 Superman struggles at the Earth's core, while Batman and Cyborg prepare for the worst. With all seemingly lost, the League succeeds in their respective efforts and the danger is averted. 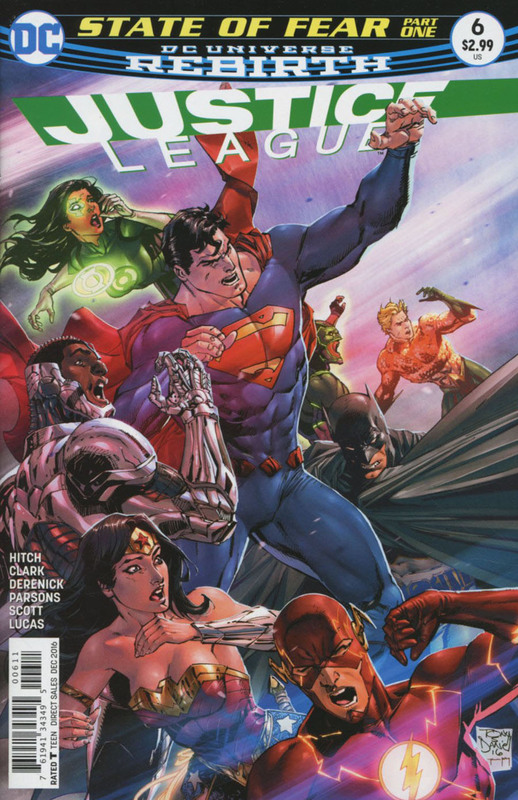 An attack afflicts the Justice League directly after their victory against the Extinction Machines. It seeks to overwhelm them with fear, but the "rookie" Green Lanterns are able to repel the advance with their combined willpower, supplemented by the wills of the other Leaguers. 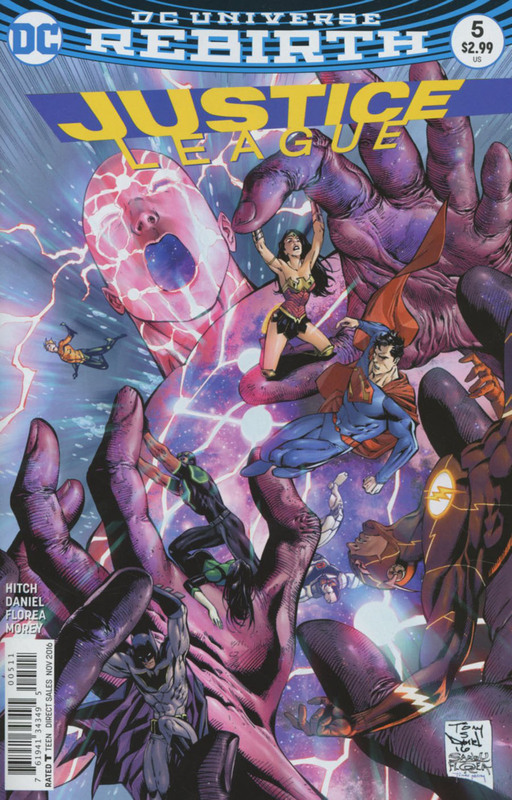 The League then retreats to their civilian lives, but with unstable personalities besetting Flash, Superman, Green Lantern (Jessica), and even Lois Lane. In an uncharacteristic bicker-match, Superman declares he's going to kill Batman, ending the issue on a familiar note. 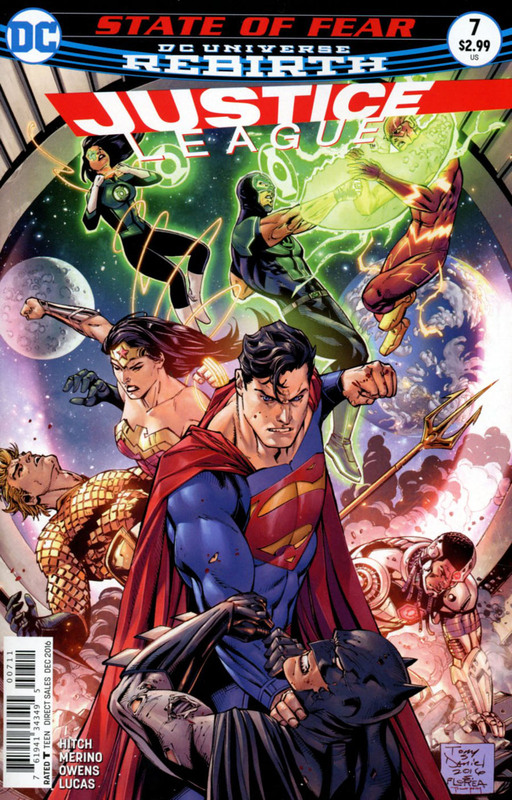 Fear has come to the Justice League of America, and each member deals with their inner trepidations without success, until Green Lantern expels the force that plagues the team.